Having deep bonds within the community by supporting local events like Greenbelt Nursery School Tortoise and the Hare 5K run, Greenbelt Elementary's Rafael's Race 5K, Michael Maxwell Jr. Foundation for Mental Awareness and Greenbelt Farmer's Market. Bee Yoga Fusion has adopted a highway in our community with the Adopt-A-Highway Program, Edmonston Road between Cherry Wood Lane and Sunnyside Ave. Four times a year a group of volunteers will spend a few hours picking up trash from the side of the road. Please contact Gretchen directly if your organization would like to have a partnership with Bee Yoga Fusion that is in line with our principles of health and wellness. For people of all shapes and sizes, ages, ability levels, sexual orientation, race, and gender identity to explore their healthy lifestyle. We started in a church basement and a patch of grass within the Greenbelt Community in 2009. And have grown into the studio you see today. 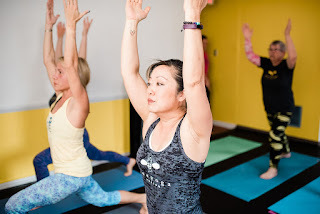 Our teachers bring a personal approach and a high quality of instruction to the intimate setting of the studio. 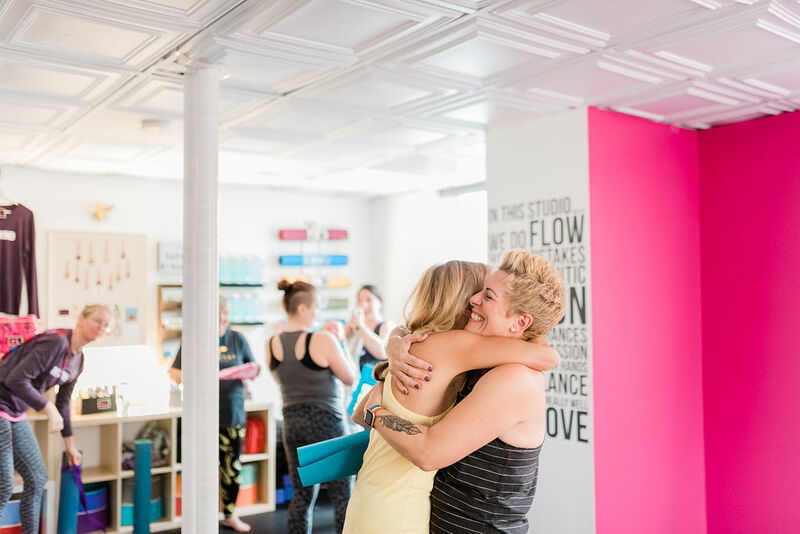 The community at Bee Yoga Fusion is a JOY to be a part of!